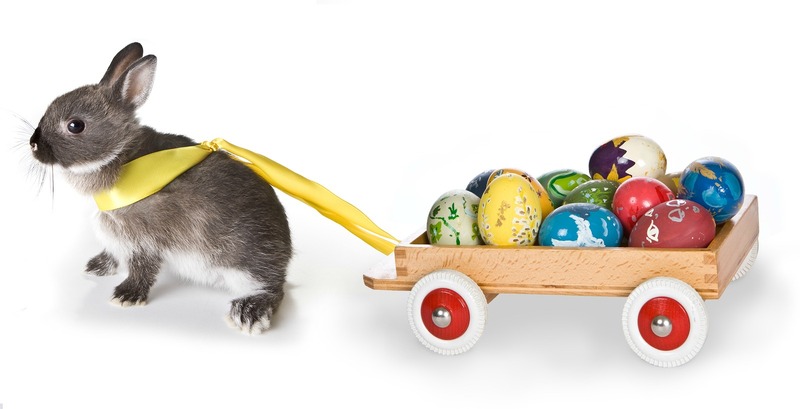 Each of these activities will burn 500 calories, that’s half your Easter egg. 1. Ultimate Frisbee – love chucking a Frisbee around and want to get fit too? Try a game of ultimate Frisbee and you’ll burn around 572 calories. That’s half your easter egg right there. Make sure you wear an eighties headband just to fit in with the other players. 2. Hula Hooping – Remember doing this as a kid and loving it? Well, you can do it again now with the excuse that it is really good for you! Hula Hooping for 45 mins will burn 420–600 calories and you’ll work your core too. Give it a go this Easter. 3. Clean the house – for 2 hours: stick on your favourite tunes and you can probably boost that number by 15% Dancing with your feather duster is allowed! 4. 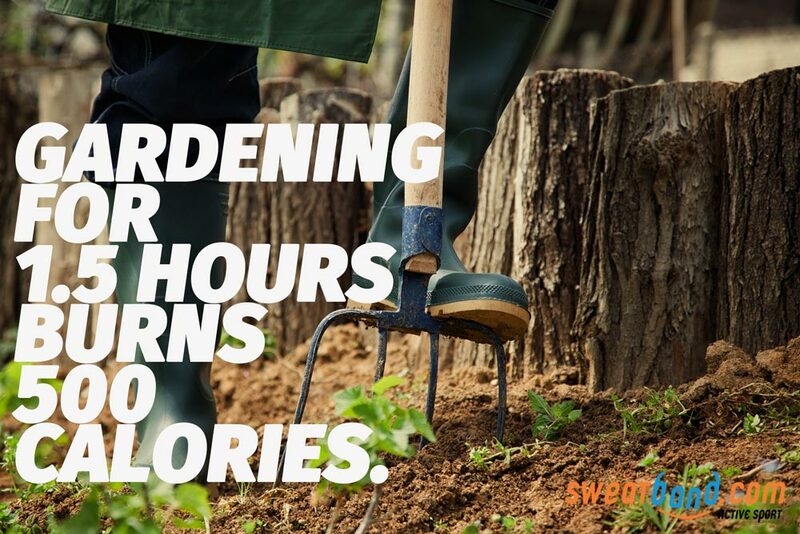 Gardening – do it for an hour and a half and you’re on your way! 5. Play Squash – for 55 minutes: grab a partner and you won’t even realize that you’re working out. 6. Mow the Lawn – one hour and 15 minutes of lawn mowing will help you break a sweat. 7. Play the guitar – two hours and ten minutes of guitar playing while standing up burns lots of calories and you might even become a rock star! 8. Belly Dancing – rock your core for 120 minutes and shake that Easter egg off. 9. Skipping – 42 minutes of this fun activity will burn calories and tone your legs too. 10. Punching – punch a punching bag for 70 minutes. Please take out your rage on the bag rather than a person! 11. Basketball – play for 50 minutes: the interval cardio will boost your cardiovascular endurance and your metabolism. 12. Snow shovelling – if it’s cold outside try shovelling some snow for 50 minutes. 13. 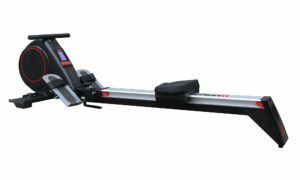 Rowing – get on the rower for 55 mins and you’ll burn off those calories and build strong glutes as well. 14. Rock climbing – for 40 minutes: inside or outside, it’s up to you. 15. Golf – play for an hour and a half – thought note, it only counts if you’re walking, and carrying your own clubs. 16. Play with your kids – 90 minutes of moderate play time with the little rascals will help you stay fit and bond with them too. 17. Bowling – follow The Dude from the Big Lebowski’s training regime and go bowling for 2 hours. 18. Surfing – be a cool surf dude for 60 minutes and burn 500 calories. Surfing also works a complex combination of muscles too. 19. Elliptical training – get on the elliptical cross trainer for an hour. You’ll feel good afterwards! 20. Give a massage – give someone a 2-hour massage. A more sensual way to burn off those calories. 21. Shopping – two and a quarter hours of shopping will do the trick. As if you needed the excuse. 22. Kissing – you’ll need to do six hours of it though so be sure to take breaks just to breathe! 23. Weightlifting – for 75 minutes: in the gym, at home it’s your choice, get on it! 25. 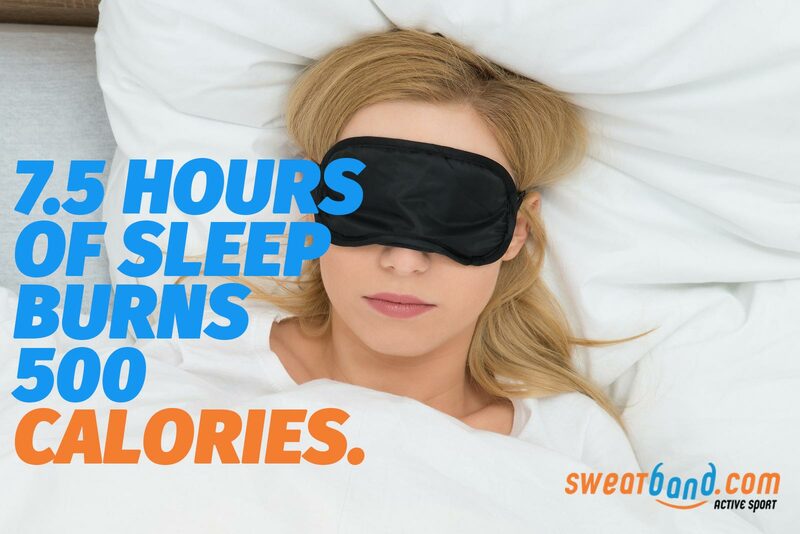 Sleeping – just over 7 hours of lying still burns 500 calories. When in doubt, do nothing!